Our Woodland Park Club offers lawn bowling, bocce, and croquet in one of Seattle’s most popular parks. The Club’s two large putting-surface quality greens, four regulation bocce courts, and clubhouse are perched on a hillside overlooking Green Lake, just 4 miles north of downtown Seattle. Membership is the best way to enjoy all the amenities of our Club. Individuals and family memberships provide access to the greens, clubhouse and patio at your leisure. Play anytime you want, including under the lights on the upper green. Members are also eligible to compete in Club tournaments on teams or as individuals. Click here for information on joining. During the spring, summer and early fall, we host open play days for the public. This is a great way to check out the club and play bocce, lawn bowling, or croquet in a relaxed atmosphere. 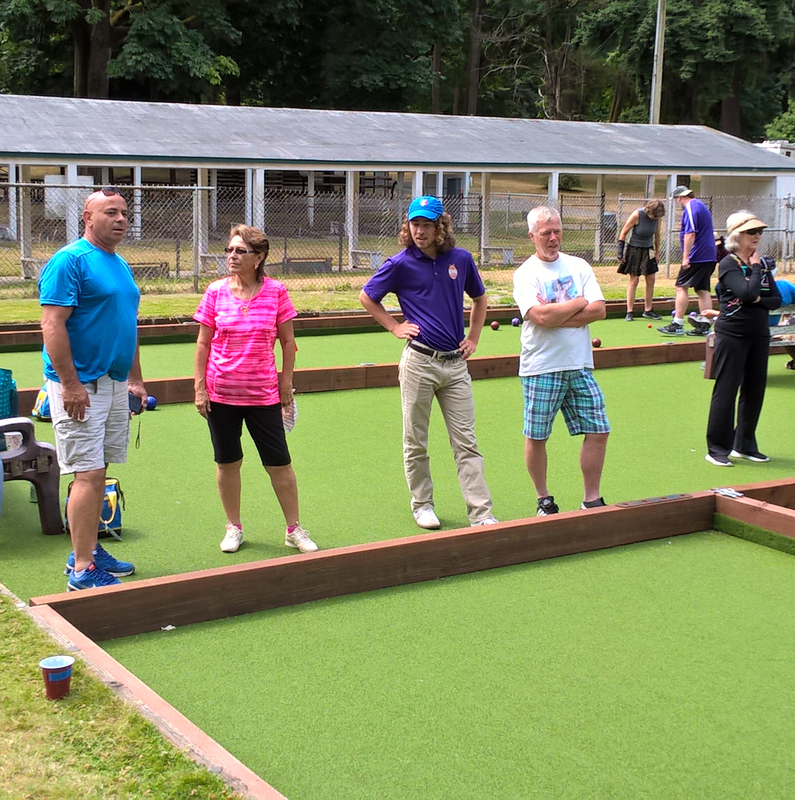 Mostly, Woodland Park Lawn Bowling Club is a place to hang out with family and friends in a beautiful park setting and play bocce, croquet, and lawn bowling at an intensity level of your choosing. At Woodland Park, the choice is always yours.